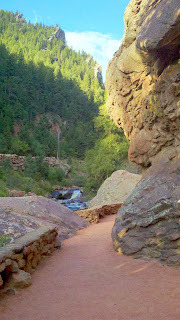 Here is a slide show with photos of many of the cool climbing areas around Boulder. JHMG operates in all the areas shown in these photos. 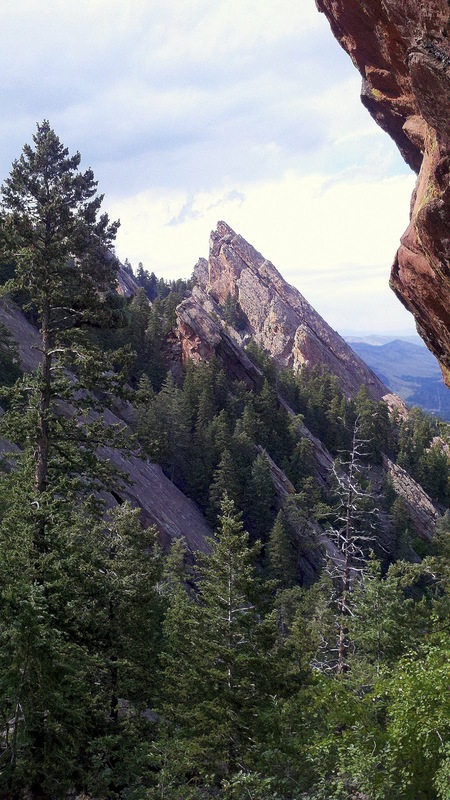 Part of the appeal of Eldo, the Flatirons, and Boulder Canyon is the proximity to the Front Range urban corridor. While climbers have an incredible outdoor setting while playing on the rocks, the presence of a larger population nearby is undeniable. This never seems to detract from the experience, rather it gives me an appreciation for the accessibility of these awesome crags and rock formations. I tried to share some action photos and some landscapes that captured the combination of these elements. What is that big cage full of rocks by Grandmother's Challenge? On Friday afternoon, a small group of volunteers worked on a new gabion on the West Redgarden trail. It's just uphill of the staging area for Grandmother's Challenge. Several more are needed to complete the project, and there will be regular volunteer days for this project - fourth Friday of each month. Folks may be meeting in the Streamside lot at 3pm and hiking up shortly thereafter, but check the Boulder Climbing Community website for specific detail. Come out and fill a big steel cage with rocks, and repeat as necessary. It's actually a refreshing workout, and it's fun to pretend that you are working on a project as big as the slope stabilization of the West Side of the Bastille. 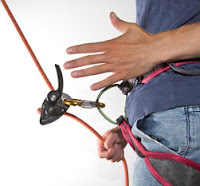 Petzl has announced a recall for replacement of a specific batch of grigri 2's. 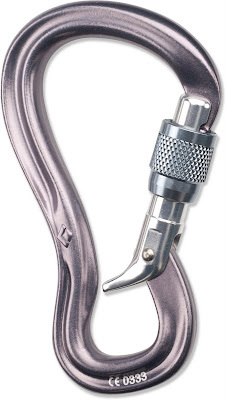 From some unconfirmed sources, it sounds like pulling too hard on the handle can cause a pin in the handle to wedge against the body of the grigri. Petzl reported: "As of June 20, 2011, seven damaged products have been returned to Petzl through our worldwide distribution network. Petzl has no knowledge of any accidents resulting from a damaged GRIGRI 2 handle." 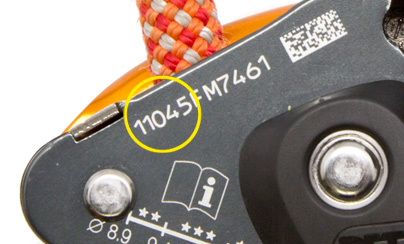 Rather than wonder about the exact mechanism for failure, simply check your grigri's serial number. If the first five digits fall between 10326 and 11136, Petzl will take care of you. It appears that the replacement can't be initiated through a local retailer. In a discussion with a client recently, I was reminded of a common misperception that one of the best ways to get better at rock climbing is through focused strength training, emphasizing the fingers and arms. Whether it's performance plateaus or higher rates of injuries, these things seem to happen to climbers that think they will have the biggest gains in performance by training on fingerboards, campus boards, or doing pull-ups. Thinking these activities will have the biggest impact on performance couldn't be further from the truth. 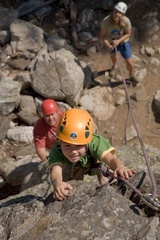 The most important factor generally affecting climbing performance, all others being equal, is climbing technique. The next most important factor is choosing appropriate tactics (pacing, choice of techniques, choice of protection stances, etc.) While strength is obviously a limiting factor for ultimate performance, most climbers are hitting their limit because of the much more trainable factors of technique and tactics. 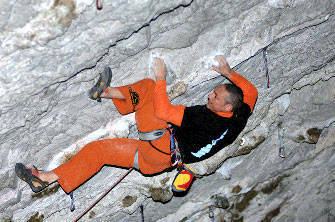 As an example, granddad Stevie Haston recently fired off a 5.14d at 52 years old. We know that our bodies are not nearly as strong at 52 as they are in our early 20's. 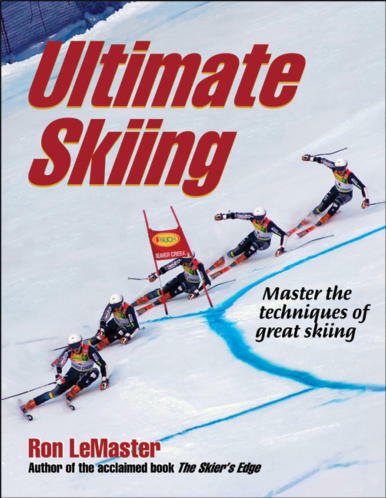 Yet Haston can climb at the sport's threshold at age 52.
being smart when dealing with an "itis"
I'm at the point where I can say that I have full control over my elbow pain. Over the past couple of years, I had debilitating tendinitis. It took some time to develop. Probably 15 years or more. At first it was barely noticeable, but eventually it grew to sharp pain - during activity and rest. 1. A tendency to overstress my connective tissue. 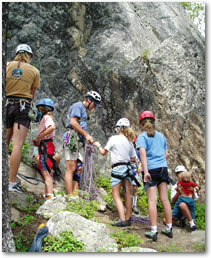 Early on I had a desire to climb hard, so I climbed and trained as much as I could. Even with a full course load. Even with a full-time work week. Even with another sport. 2. Undisciplined use of my time. If I had time, I would push into deep fatigue finishing a climbing day or workout session. I would emphasize quantity, and I may have overlooked quality.